Blue Chamomile Face Cream . . . Rich nourishing moisturizer made from an infusion of herbs selected for their skin enhancement properties, blended with all natural oils, Rosehip & Chamomile essential oils. By Jean’s Greens. 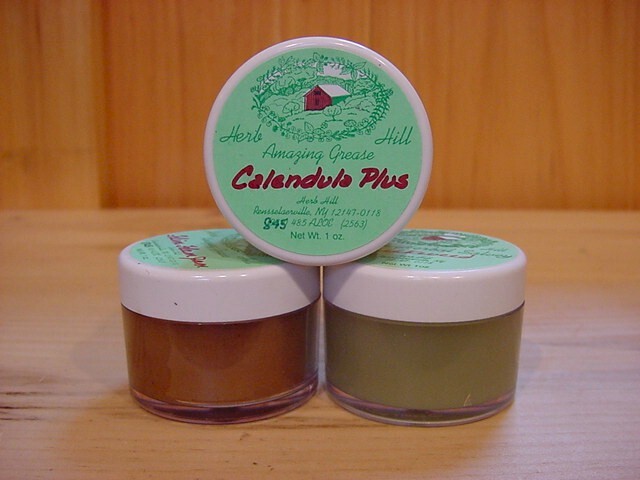 Calendula Face Lotion . . . For mature skin, a light and silky nourishing unscented lotion. Contains healing Calendula oil with Lemon Balm hydrosol and Shea Butter. By Birch Moon Herbals. Chaga Crème . . . A rich & fragrant creme that addresses various skin anomalies - improves skin tone; deters rashes & skin discoloration. By Woodland Essence. Eye Toner Cream . . . A delightful blend of herbs, oils and cucumber water. Absorbs easily and helps puffiness around the eyes without masking your natural glow. By Solstice Herbals. Kathy's Healing Lotion. . . This 100% organic lotion is amazing for severly dry skin. As an oveall hand and body lotion, it softens your skin, stops itchy skin, heals, nurtures, soothes, and works all day, even after you wash. From Kathy's Family . Lavender Cream. . . A rich, super moisturing cream for dry cracked hands, face, feet, and body. Healing calendula and calming lavender in perfect combination. On your face, a pea sized amount is all you need for all day softness. By Birch Moon Herbals. Sage Blue's Breast Balm . . . Formulated with flowers & oils that penetrate deeply to stimulate lymphatic flow & release toxins. Breast massage instructions included. By Jean's Greens. Sage Blue's Love Balm . . .Slippery and wild body lubricant. Mild pleasant scent. Does not leave a greasy residue. Do not use with latex products. By Jean's Greens. Spruce Cream. . . A super moisturizing cream for dry cracked hands and feet. Calendula oil is very healing. Spruce is uplifting and clears the head. Enjoy. By Birch Moon Herbals. Unscented Cream. . . A simple & scent-free, super moisturizing cream, perfect for the whole body, and in pea-sized amounts on the face. Calendula is healing and helps regenerate skin cells. Self-heal flower essence supports the body in healing itself on all levels. By Birch Moon Herbals. Vanilla Tangerine Cream . . . A simple, yet super moisturizing cream for the whole body. Also a soothing & luscious winter face cream. Calendula is healing, reduces, scars and helps regenerate skin cells. Tangerine-uplifting. Vanilla-sensual. By Birch Moon Herbals. Wild Rose Face Cream . . . Luxurious, rich and sensual, Wild Rose is truly food for the skin. High in essential fatty acids (Evening Primrose and Avocado oils), Ginseng, Green Tea and Vitamin E offer a protective influence. Geranium essential oil adds a mild rose scent and aids in rebuilding skin. By Holly Farms. X~ema Cream . . . An incredibly soothing blend of herbs to help ease the itch of eczema. Helps to heal inflammed, dry skin. By Birch Moon Herbals. Rosehips & Sesame Facial Oil . . . A blend of hydrating oils to restore moisture and suppleness for dry to mature skin. Organic and vegan. By Chagrin Valley. Seabuckthorn Tamanu Facial Oil . . . Antioxidant rich oils, healing for inflamed, damaged skin, acne and scarring. For irritated or inflamed skin. Organic and vegan. By Chagrin Valley. Buttercream Cleaning Face Wash . . . Moisturize and gently cleanse skin with natural oils, whipped butters and aloe soap. Organic and vegan. By Chagrin Valley. Honey Blossom Face Scrub . . . Exfoliating cleanser for skin. Made with raw, local honey, ground apricot kernels, oats, white clay and a blend of herbs to heal, cleanse and soothe the skin. Excellent for any skin type. By Solstice Herbals. All Purpose Salve . . . Use for almost anything from rashes to bug bites, burns, wounds, inflammations, and more. Olive Oil infusion of fresh Plantain, Comfrey leaf, St. Johnswort & Calendula thickened with clay & beeswax. Cold Sore Relief Balm . . . Safe and healing or sensitive areas. Tea Tree, Lemon Balm and Zinc By Birch Moon Herbals. Penetrating Joint Comfort Salve . . . Massage this fragrant salve into aching joints to bring warmth, comfort and flexibility. 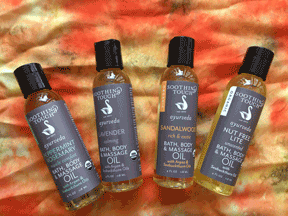 All organic and wildcrafted herbs, with emu oil, flower essences and essential oils added. By Woodland Essence. Warming Muscle Balm . . . A fragrant, relaxing balm to soothe strained and sore muscles, releasing tension and cramping held in the body. Organic and wildcrafted herbs with essential oils and flower essences added. By Woodland Essence. grown on Herb Hill, Rensselaerville, NY. List of ingredients available on request. Anti-X . . . Special formula for patients who suffer skin burns. Calendula Plus . . . Traditional blend used for inflamed or itchy skin. Calm Balm . . . Especially formulated for women to ease tension. Chest Rub . . . Warms congestion of the lungs, soothes coughs. Chick Epoxy . . . Formulated for the itchy outbreaks of chicken pox; also effective for eczema. Cuti Cure . . . To strengthen nails and softens cuticles. Flim Flam Jam . . . A stimulating anti-inflammatory to aid circulation and ease arthritic joints. Foot Warmer . . . Encourage circulation to your extremities. Fungal Jumble . . . Addresses fungal based nail and foot problems. Preparation “P” . . . Soothing hemorrhoid relief. Soothe 'N Comfort . . . Pain killing herbs, can be used for any discomfort. Snooze Eze . . . Use this & drift off into a relaxing sleep. St. Johnswort . . . A relaxing “simple” to rub on muscles that ache or spasm. Temple Rub . . . To ease fatigue and headache. You're So Vein . . . Formulated to ease discomfort of varicose veins & aid circulation. Amazing Tooth Powder . 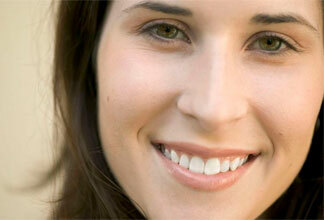 . . Feel the tingle with this natural and organic alternative dentifrice. Contains: Organic Horsetail, Spilanthes, Zeolites, Aztec Clay Baking Soda, Stevia, Cloves, Myrrh and Peppermint Essential Oil. From Earthwalk Botanicals. Arnica Compound . . . All purpose injury oil. From oil infusions of Arnica, Calendula, St. Johnswort, with essential oils of Rosehips and Chamomile. By Jean's Greens. Organic Daily Swish . . . Sesame and coconut oils infused with ayurvedic herbs for overall health and hygiene. Based on ayurvedic oil pulling. By Banyan Botanicals. Herbal Gum Rinse . . . Tones and strengthens gums, and freshens breath. Prepared with Echinacea purpurea, Spilanthes leaf and flower, White Oak bark Calendula flowers, Plantain leaf and Myrrh gum extracted inorganic grain alcohol and distilled witer with Bloodroot extract and essential oil of Peppermint added. From Woodland Essence. Herbal Ear Drops . . . Helps with imbalances in the ear canal. For people and their pets Combination of Calendula, St. Johnswort, Mullein and Garlic oils. By Jean's Greens. Herbal Throat Spray . . .A soothing and antiseptic blend for tender throats. Fresh whole plant Echinacea purpurea, Usnea lichen, Sage, Thyme, Hyssop leaf, Licorice root, Goldenseal root, Myrrh resin and Propolis. With essential oil of either peppermint or orange added. From Woodland Essence. Natural Deodorant Stick . . .A non-toxic deodorant. Choose from regular or sensitive. For men, women and children. By Earthly Remedies by Erin. Rosemary Compound . . . Massage gently over sinus area or lightly into nostrils to relieve congestion. Essential oils of Rosemary, Eucalyptus, Thyme and Lavender in Apricot Kernel Oil. Choose Oil Blend or Salve. By Jean's Greens. Super Wound Wash . . . A strong extract blend of roots, leaves & flowers traditionally used for various skin conditions. Contains Calendula, Hypericum, Echinacea, Comfrey root and Usnea lichen in 50% alcohol. From Woodland Essence. Bath Salt Soaks . . . Epsom, dead sea and mineral salts combine with essential ils for a well earned and relaxing soak. Choose from Cedar Sage (restoring), Sore Muscle Soak (tension relief), Lavender (calming), or Balancing (deep sleep). By Soothing Touch. Milk Bath Soak with Rose Petals . . . Ancient Babylonian formula to pamper your body and put you in the mood for love. Fragrance & beauty combine to make skin soft as silk and rose-scented. Goat Milk, Rose Petals, Dead Sea Mineral Salts, & Essential Oils. By Jean’s Greens. Mineral Salts Mustard Bath . . . This therapeutic blend utilizes the warmth of mustard to open pores & release toxins. Leaves your skin feeling soothed & refreshed. By Jean’s Greens. Flower Body Powder . . . Lovely powder containing powdered lavender and rose petals with a light scent. Talc free. By Birch Moon Herbals. Woodsy Body Powder . . . Deodorizing with powdered sage and fir needle essential oil. Talc free. By Birch Moon Herbals. Shampoo Bar . . . Conditioning natural shampoo in a solid bar. Cleans the hair and scalp withoug stripping away natural protective oils. Choose from Chamomile & Citrus, Rosemary & Lavender or Nettle. Certified organic and vegan. By Chagrin Valley Soap & Salve Co.
Neem Tea Tree Body & Hair Shampoo . . . For dry and irritated skin and scalp. Organic and vegan. By Chagrin Valley. Dry Shampoo . 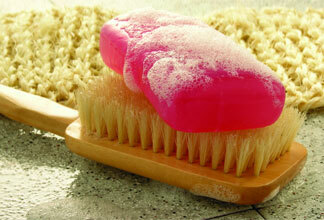 . . for a quick fix in between shampoos, helps your hair to look clean and smell fresh. Choose from light Hair or Dark Hair. Certified organic and vegan. By Chagrin Valley. Hair Balm . . . Leave in conditioning treatment. Certified organic and vegan. Choose Creamy Shea for dry, over processsed, course or textured hair. Contains Organic Virgin Shea Butter, Organic Babassu Oil, Organic Almond Oil, Organic Jojoba Oil or Coconut Primrose for all hair types, promotes healthy hair and scalp. Contains Organic Virgin Coconut Oil, Organic Evening Primrose Oil, Organic Jojoba Oil, Organic Beeswax. By Chagrin Valley. Rainbow Henna . . . Natural henna is the dried, powdered leaves of small shrubs native to West Asia & North Africa. This henna is organic and has no additives. Choose any combination of: Neutral, Blonde, Marigold Blonde, Strawberry Blonde, Copper, Light Brown, Medium Brown, Dark Brown, Burgundy, Mahogany, Sherry, Red or Black. Ask for our free Henna Fact Sheet. Camping & Trail Soap . 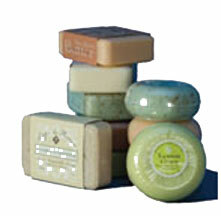 . . Natural soap formulated with essential oils known to discourage mosquitos and other insects. Organic and vegan. By Chagrin Valley. French Bath Soap. . . Pure vegetable soap, triple milled and enriched with shea butter for long lasting soap with abundant creamy lather. Scents distilled in the city of Grasse in the south of France. Choose from Ginger Orange, Ocean & Seaweed, Lavender, Linden or Lychee Rose. Imported by Echo France. Goat Milk Oatmeal Soap . . . A gentle face and body soap for sensitive and dry skin. Organic. By Chagrin Valley. Choose from Mountain Sage, Nutmeg-Orange, Northwoods, Cinnamon Spice, Seaweed Scrub, Patchouli-Lime, Wild Blueberry, Lilac, Lemongrass-Clove, Lavender-Poppyseed or Almond Oat Scrub. Sea Salt & Seaweed Soap . . . A nourishing and mineral rich body soap for all skin types. Gently exfoliates, leaving skin silky and glowing. Organic and vegan. By Chagrin Valley. Heal All Salve Stick . . . Contains Comfrey and Calendula Oils, Shea Butter and Honey. By Birch Moon Herbals. Lip Balm Sticks . . . Soothes and protects. Call for our current selection 518-479-0471. By Birch Moon Herbals or Holly Farms. Organic Bath, Body & Massage Oil . . . Soothe and moisturize with this unique Ayurvedic blend of 6 carrier oils. Delicately scented with essential oils or unscented and made with herbal infusions. Choose from Lavender (relaxing), Peppermint Rosemary (muscle comfort), Sandalwood (rich & exotic) or Unscented Nut Free Lite. By Soothing Touch. Blemish Be Gone . . . Don't squeeze! Apply Pimple Juice directly on blemish with a cotton ball. Just a little dab is all you need of this herbal combo in witch hazel. By Jean's Greens. Buzz-Off! . . . Jean's secret formula of witch hazel with essential oil blend. Spray bugs away! From Jean's Greens. Itch Re-leaf . . . An herbal spray to soothe “itchies.” Jewelweed, Mugwort, Plantain, Comfrey, Sweet Fern & Witch Hazel bark in Witch Hazel extract, preserved with 25% pure grain alcohol. From Woodland Essence. Tick Repel Kit . . .Our DIY tick repel kit includes a 4 oz. glass bottle with sprayer., 1/2 oz. geranium essential oil and complete instructions. Makes approximately 15-4 oz. bottles. From Jean's Greens. Baby Powder . . . Powdered flowers for your baby's sweet sensitive skin. Mild, calming talc free scent. From Birch Moon Herbals. Diaper Salve . . . Fast recovery from diaper rash. Soft for easy spreading. Calendula and comfrey infused olive oil, beeswax, lavender and essential oil. From Birch Moon Herbals. Fairy Mist . . . Soothing for children when nothing else seems to work. Contains Lavender & flower essences. From White Buffalo Herbs. Post Partum Sitz Bath . . . A soothing and comforting blend of herbs traditionally used to support postpartum healing. Includes on reusable muslin bag. Comfrey leaf, Plantain, Lady's Mantle, Calendula, Lavender and Yarrow.